March will be a triple feature with members of Sage Trail Magazine editors, Suzanne Frost, Sojourner Kincaid Rolle, and G. Murray Thomas! Come early to sign up on the open reading list and be a part of the monthly magic! At Gatsby Books, 5535 Spring St., Long Beach, CA 90808. RSVP on Facebook! 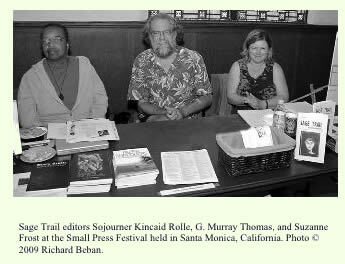 Suzanne Frost hosted the Poetry Zone monthly featured and open-mic poetry reading at the Karpeles Manuscript Library in Santa Barbara, and was the creator, editor & publisher of Sage Trail Poetry Magazine, a bimonthly literary journal published in Santa Barbara and Albuquerque, New Mexico. She was on the board of the Taos Poetry Circus, and has a Master of Arts in Creative Writing and English from the University of New Mexico. Her chapbooks include Monument to Broken Stones, dreaming, sleeping, waking in the deathless fearless Mind, No Knife, No Poison, and most recently, The Piety of the Open Eye. Other publications include The Daphne Project Catalogue at Lotusland, Fickle Muses, Poetic Diversity, Willow Street, and Central Avenue, and she was nominated for a Pushcart Prize for the broadside, “Pound in a Cage,” by Poor Souls Press. Currently, she is a doctoral student in Clinical Psychology at Antioch University in Santa Barbara. Sojourner Kincaid Rolle is a poet, playwright, and a mediator. She holds B.S. ( UNC-Charlotte, 1978) in Criminal Justice with emphasis in Juvenile Delinquency and a J.D. (UC-Berkeley, 1981). 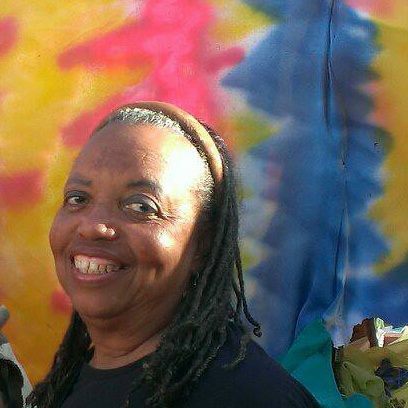 She has taught creative writing through UCLA Extension in the California Arts In Corrections program(1992-1999) and African American Literature at UCSB(2007). She has been leading poetry workshops for young people in the schools and throughout the community since 1992. She has worked with the teen theater group, City at Peace as artist/writer-in-residence since its inception in 1996. Rolle is the author of seven books of poetry and six plays. Her poems have been anthologized, appearing in The Geography of Home, The Poetry of Peace, Poetry Zone I, II, & IV, Rivertalk and others. 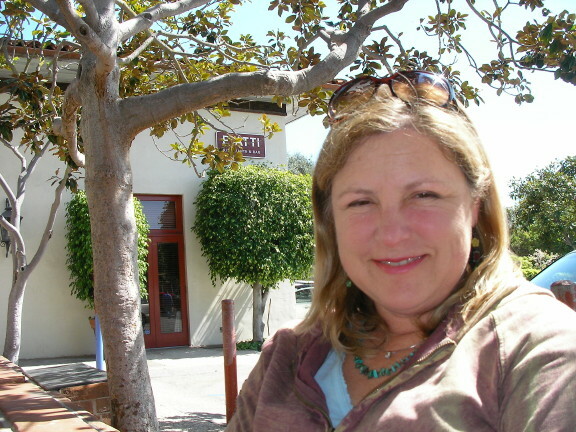 All of her plays have been produced by Santa Barbara’s Dramatic Women Theater Company. Her arts reviews and commentaries have appeared in local and regional publications. You all know our cohost G. Murray Thomas! Check out his Facebook page or Cadence Collective bio for more information.